We are Michael and Laurie from Grafenwoehr Germany. Our 5 year old son had wanted a dog. After searching several sites and facilities we just didn’t find what we were looking for or wasn’t confident in the transaction due to high prices that were being asked. 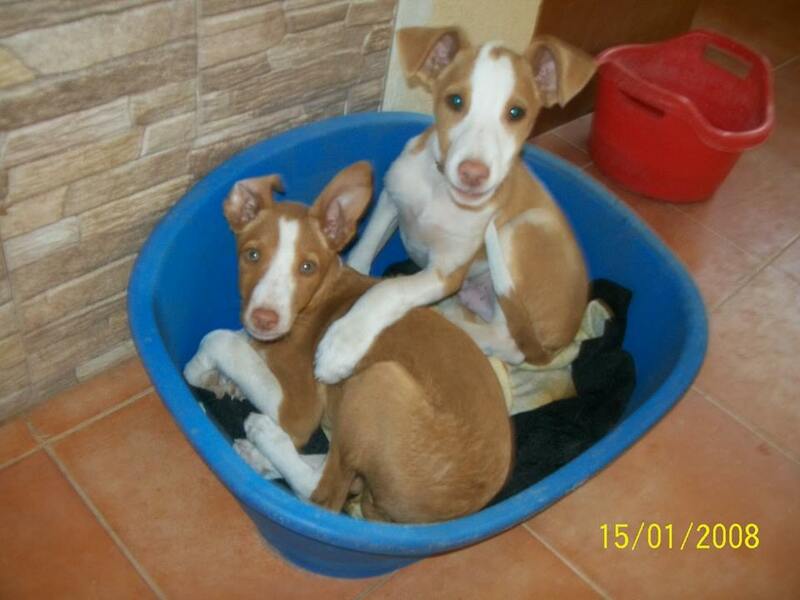 We stumbled upon Puppy Rescue Spain on Facebook. I worked at an animal hospital in the past, so I knew of a few things to look for and also watch out for. After doing research on Puppy Rescue Spain, I found that they had more positive feedback than others and their price was doable and actually went towards the care and transport of the animals. We searched and searched and one day there he was was…. Pretty lil boy named William (That’s the name he had when we adopted him). We saw that adorable face and just couldn’t pass him up. 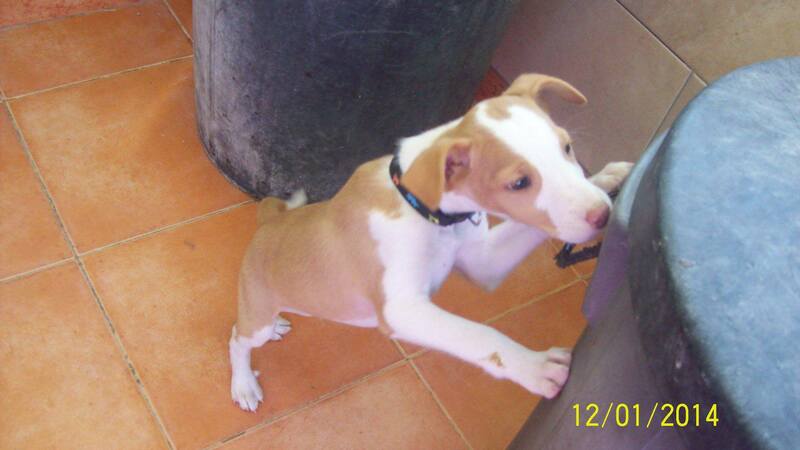 We contacted Puppy Rescue Spain and arranged a home visit. A gentleman from my local area came to our home with his dogs. 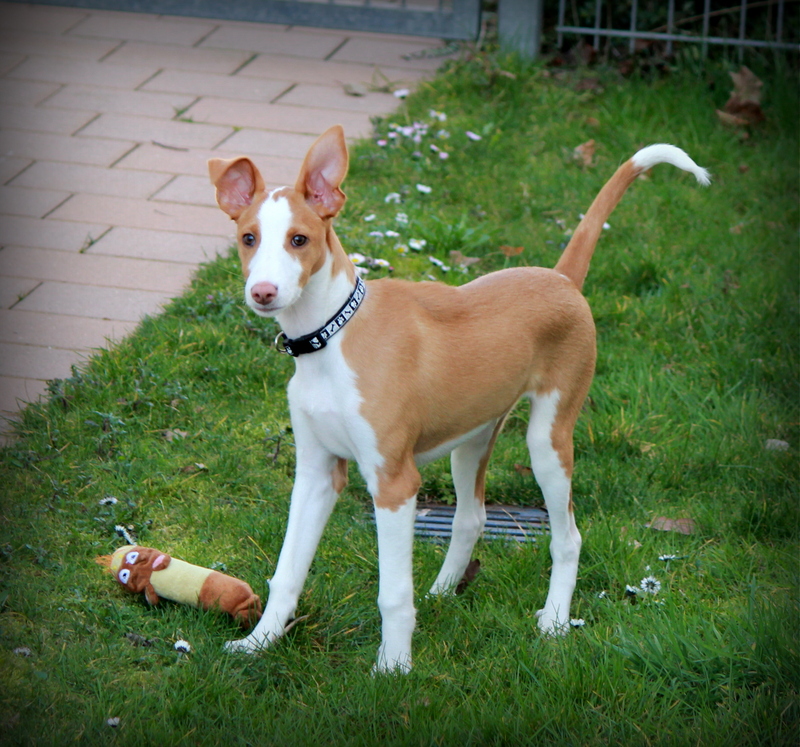 They were also Podenco’s which is what we were adopting. Not knowing much about the particular breed, you could imagine we had many questions. Not many American’s have heard of such breed. Once we found we were approved for the dog we renamed him Scout. Scout was then sent to a foster home, where he would acclimate to being in a home environment. Scout had a foster Mom who’s name was Jane. Jane is an AWESOME, awesome, awesome foster mom for these pups and for the transition to the home. We had skype dates so that Scout could get used hearing our voices and who he would be coming home to. We played and talked and sent pictures on a regular basis. It took a couple month’s for the transaction to be complete. When Scout arrived home it was a very smooth transition. Garret our 5 year old son at the time took to Scout and Scout did the same. I was 8 month’s pregnant and the baby due any day. Scout knew and was ever so gentle around me. When the baby was born Scout would lay next to his swing or where ever the baby was sleeping. Scout automatically new to be gentle with the baby and Garret both. Now Garret is 7 and the baby is going on 2. Scout is such an amazing family dog. As we all know 2 year old’s can be pretty rough. There are times when Gavin is a bit rough and may tug on an ear or the tail of Scout. Scout has not once ever snapped or bitten either of our boys. He instead will give a little cry as if he were saying ouch you’re hurting me and then Gavin will give him a hug. This year we will be going back to America and Scout is a part of our family. Scout will be making his journey back to the states and we are so proud to call him ours. Garret calls him his brother. It is such a great honor to bring such an amazing breed back home from Europe with us and show others what this breed is all about. We are grateful to call this beautiful boy our baby. 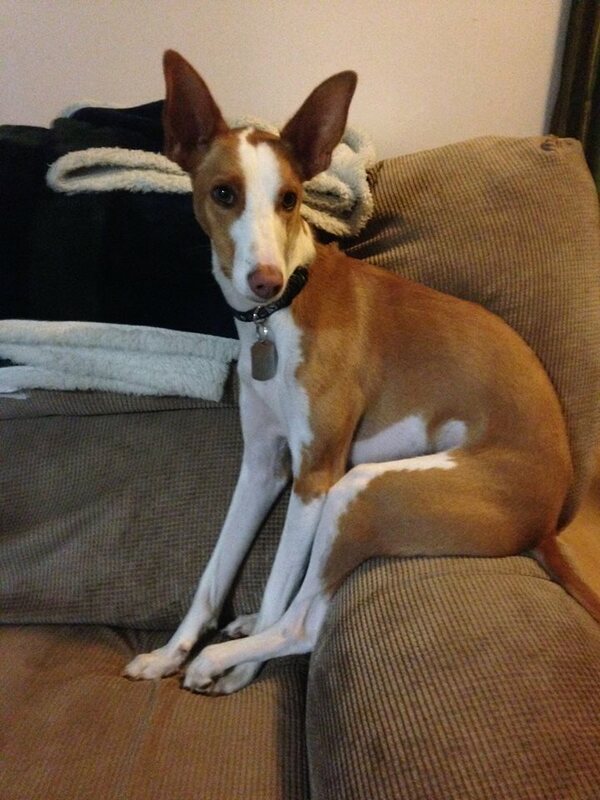 The Podenco breed is definitely a loyal family dog. If you have children this breed will be the perfect addition to your family!! 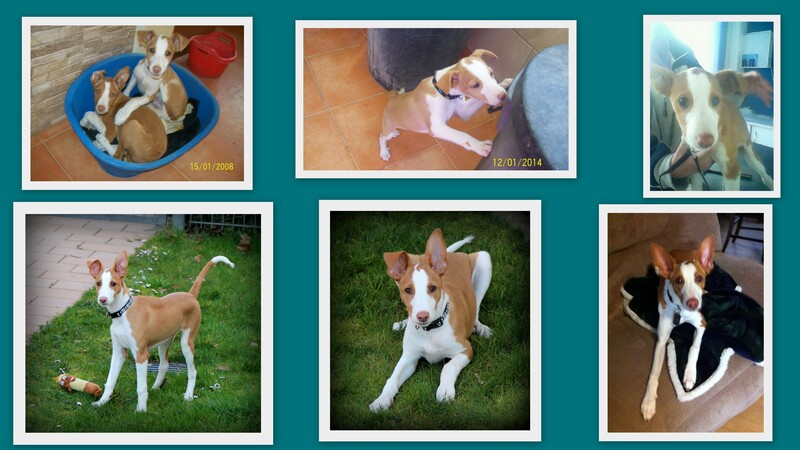 Thank You Puppy Rescue Spain for all that you have done! Thank you for giving us the opportunity to care for this great boy, he completes us!